We have developed an app for Pulse Fitness members to manage their membership conveniently. 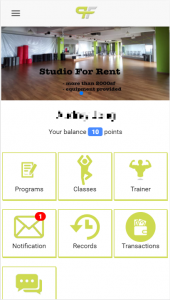 Members are able to top up monetary values and use them to purchase training classes or goods available on the app. Information about programs, class schedules and trainers are readily available to view in the app anytime, anywhere. Besides that, we developed an admin portal for Pulse Fitness staff to manage their business activities.